Hi , here's that information about successful innovation. It talks about how this process can also help our teams in the long term too--I always appreciate being able to kill two birds with one stone. In increasingly crowded and competitive spaces, businesses often turn to innovation as the key to differentiation and success. But calls for innovation can often reveal themselves to be rooted in a preconceived vision of the types of solutions an organization wants to build. For example, innovation is often conflated with a shift to digital solutions and services or the launch of a specific new product or service. Innovation thus becomes more like invention—a project of designing and building a particular solution assumed to be differentiated and to add value for the business. Within this solution-focused mindset, we forget the importance of identifying, understanding and framing the problem itself. When we don’t spend time sitting with the problem(s) facing our consumers and unpacking the assumptions built into our solutions, we risk solving the wrong issue. What would happen if we stepped back from solution-focused innovation and spent more time truly understanding the problems we’re trying to solve and people we’re solving for? An innovation agenda that takes a design approach to put consumers’ needs (and the brand’s voice) at the centre can also result in some surprising, previously unimagined areas where true innovation lies hidden. Experience design thinking can be a powerful tool in helping teams shift to a problem-focused, human-centered approach. 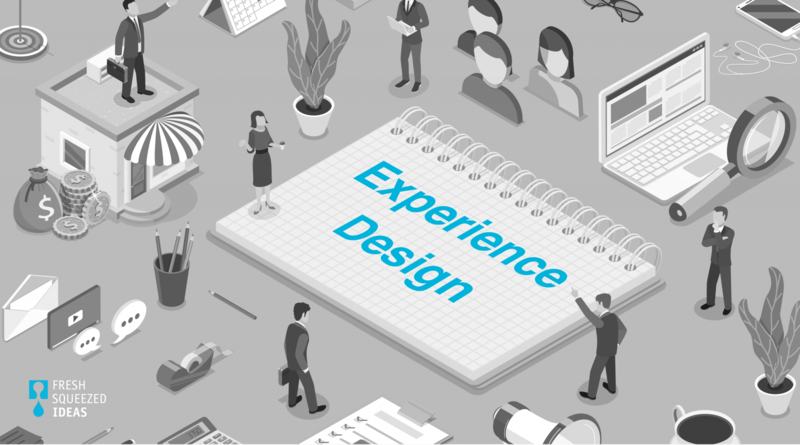 Taken from the world of design, it uses an iterative process to continuously improve existing products and services and create totally new ones based on uncovering problems and areas of need in consumers’ lives. So, what might this look like? And how might this be different from a solution-focused approach? Great! That someone is awesome.